Shimla is the beautiful city of the Indian State of Himachal Pradesh. The city has a boon of natural beauty and pleasing surroundings. The city was earlier known as Shimla. It is one of the most popular tourist destinations in India and is filled with various tourists coming across the globe. For all those who wish to spend their holidays lavishly for them Shimla houses with some of the best deluxe properties. The Tourist in Shimla can stay at East Bourne Resort and Spa is one of the best 4 star hotels in Shimla. It has 75 luxurious rooms with all the modern amenities. Shimla Old Railway Station is 4 km away from the hotel while bus stand is 6 km and Shimla Airport is 23 km from the hotel. In room amenities include tea and coffee maker, LCD TV, direct dial telephone along with the attached bathroom. The bathrooms are filled with all necessary amenities and essential toiletries. This hotel has an in-house multi-cuisine rooftop restaurant ‘Vertigo’ which serves Mediterranean, Thai and local delights. ‘Zanzee’ is the well-stocked bar is filled with choicest of wines to relish your evenings. ‘Aqua’ – the night club featuring electric ambience that captures your senses when you in the mood to shake your body. Major tourist attractions such as State Museum, Jakhu Hill, The Ridge and Christ Church are located in the vicinity of 6 km from the hotel. Hotel Marigold Sarovar Portico is also listed among 4 star Shimla hotels. This hotel has 41 classy and contemporary Swiss cottages, studio apartments and modern hotel rooms. ‘Craignano’ restaurant serves multi-cuisine delicacies. This hotel has a spacious banquet space for hosting weddings and other social events. 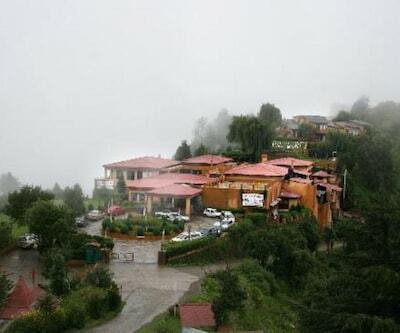 Another property, shimla havens resort is among deluxe Shimla hotels. 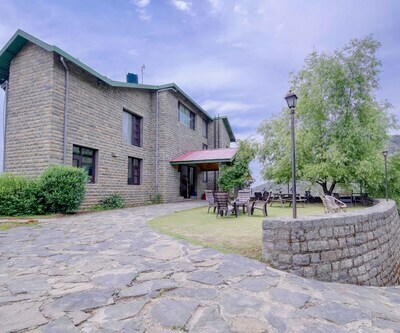 This resort is situated at the altitude of 1951 meter above sea level. This resort is surrounded by cedar and pine forests. ‘The Deck’ is an open-air restaurant which serves Indian, Chinese and Continental delights. This resort has a well-stocked bar which serves wines and spirits. 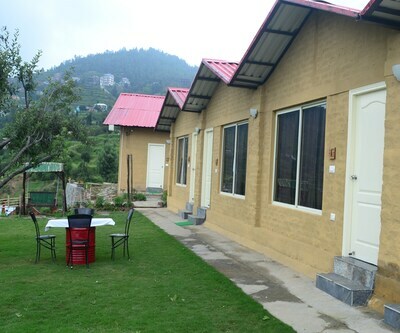 The property is 40 km from Shimla Juberhatti Airport, 18 km from Shimla Railway Station and Bus Stand. 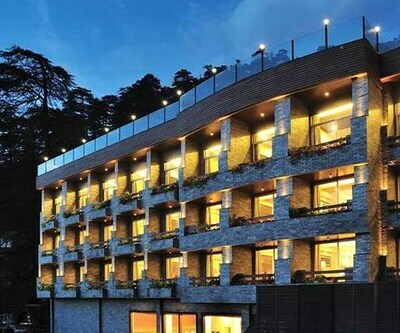 Some other accommodation places in Shimla which are listed as 4 star hotels in Shimla are -Hotel Combermere which has elegantly designed well-groomed 41 rooms with all the modern amenities. ‘Seventh Heaven’ is a multi-cuisine restaurant which serves Indian, Italian, Thai and Continental cuisines. ‘Bar-Be-Que’ offers the breathtaking rooftop view of the Shimla. It serves a variety of cocktails and mock-tails. ‘Cloud Nine’ is a well-stocked bar in this hotel. 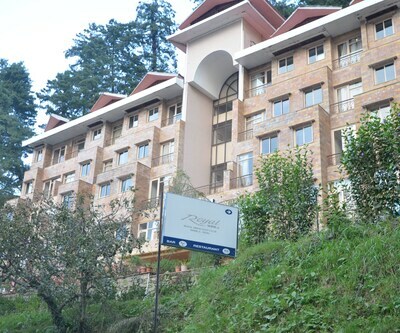 Club Mahindra is one of the best four star Shimla hotels. This hotel is surrounded by lush green hills of Himalayan Mountains. This resort offers 70 well-furnished rooms with all the modern amenities. ‘Blossom restaurant’ offers Chinese and Continental delights. Then there’s Shimla havens Resort, The Cedar grand Hotel and Spa and Marigold Sarovar Portico.